Ex-NUFC makes surprise claim about former teammates after disastrous spell at SJP – NUFC blog – Newcastle United blog – NUFC Fixtures, News and Forum. 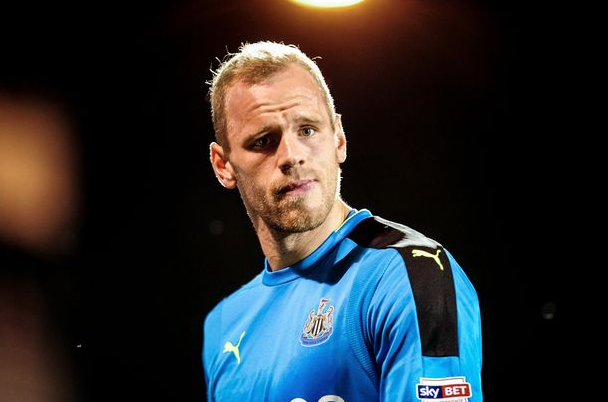 Matz Sels claims that his ex-NUFC teammates were ‘mostly looking out for themselves’ during his time at the club – a surprise admission given our team spirit was clear for everyone to see during our promotion season. The 26-year-old – who quickly went from Rafa’s number one to a total outcast following his move in the summer of 2016 – also claims that players were seen as ‘colleagues’ and not a ‘group of friends’ to him. “I went from a group of friends to a dressing room where players were mostly looking out for themselves. Given the spirit within the side and camaraderie both on and off the pitch was very evident both last season and during our promotion campaign, it makes you wonder if this was a result of Sels’ inability to settle in England – and not so much a reflection of individuals within our squad? A few years on and after a loan spell with Anderlecht, Sels secured a permanent move to French side Strasbourg – with him now playing just behind former Sunderland centre-back Lamine Kone in a team that’s currently 9th in Ligue 1.